EASY CINNAMON APPLE SWEET BREAD OR AS MY SISTER CALLED IT DUTCH APPLE LOAF IS THE PERFECT DESSERT LOAF OR SNACK. 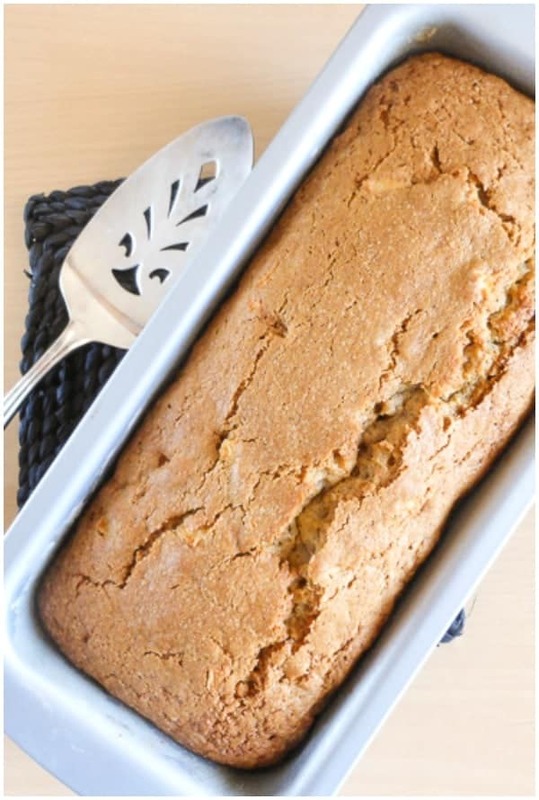 A DELICIOUS COMBINATION OF CINNAMON AND APPLES MAKES THIS AN EASY SWEET BREAD FOR FALL. The calendar says October but the weather here in Italy still says summer. I must admit I don’t like that too much. Middle of October and I am still sweating. Enough already, I want to wear a jacket and sit in the TV room with a blanket over my legs, oh well at least I can cook and bake like it is October. And believe me this Dutch Apple Loaf is perfect. If someone asked me to pick a favourite spice for cooking without a doubt I would pick oregano, now if you asked me the same question about baking no problem on that one either, I choose cinnamon. And nothing better than cinnamon in a sweet bread unless you are adding apples. This Dutch Apple Loaf was first made too many years ago to count by my sister, who passed away suddenly four and a half years ago. I remember she made it the first time at Christmas, and I loved it at first bite. It became along with my Mom’s so delicious Christmas cookies a Christmas tradition. I think I ate that Dutch Apple Loaf before during and after Christmas dinner and all day long. Last week when I made the Cinnamon Cake I said that was a cake that I could probably eat all by myself well, yes this is the loaf I could eat by myself. This is the perfect loaf to share with friends and family. A fast and easy loaf to make and take for a dinner at friends. 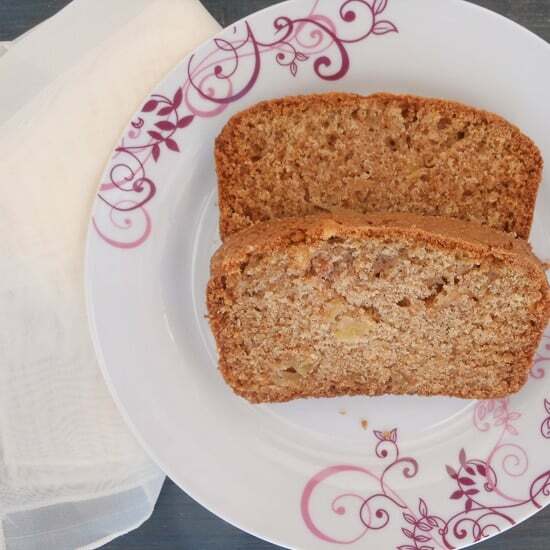 A moist and soft loaf with just the right balance of cinnamon and apple. Perfect with a cup of coffee for breakfast. You could even do what I do and make a couple and freeze one for later. 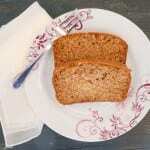 How ever you decide to make this loaf or decide to share or not to share, I do hope you enjoy this Dutch Apple Loaf. Happy Baking! 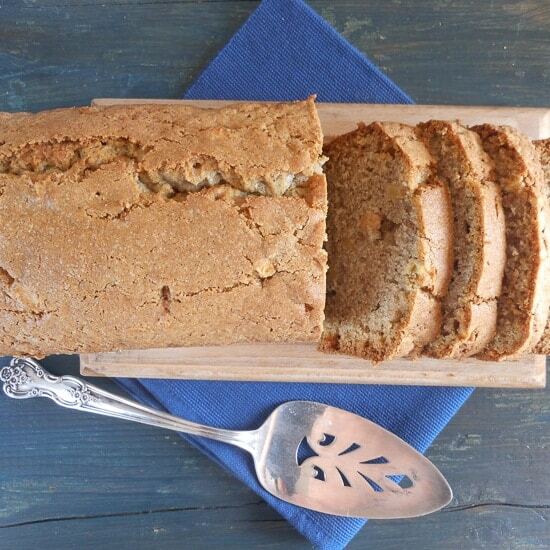 A moist, soft and delicious apple and cinnamon loaf, Dutch Apple Loaf. 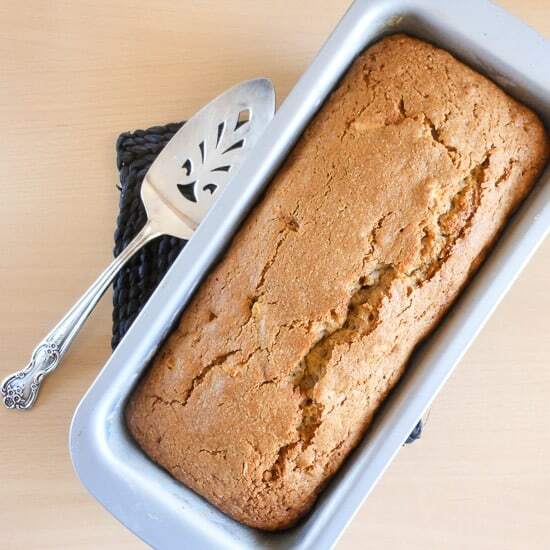 The perfect breakfast, snack or dessert bread. 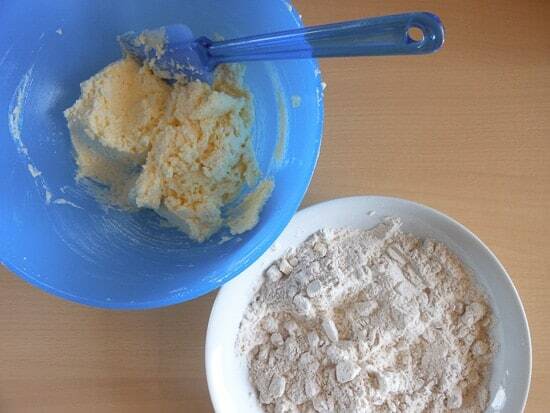 In a medium bowl cream butter, add sugar and cream well, then add the beaten egg and beat for approximately 1 minute. 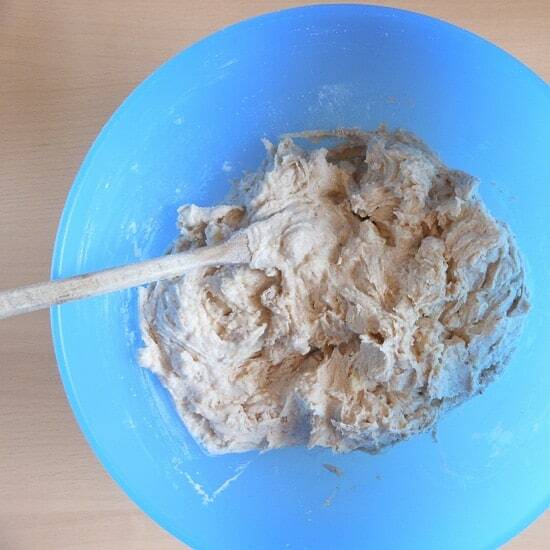 In a medium bowl add flour, salt, soda and cinnamon, whisk to combine, then add diced apples and stir lightly to combine. 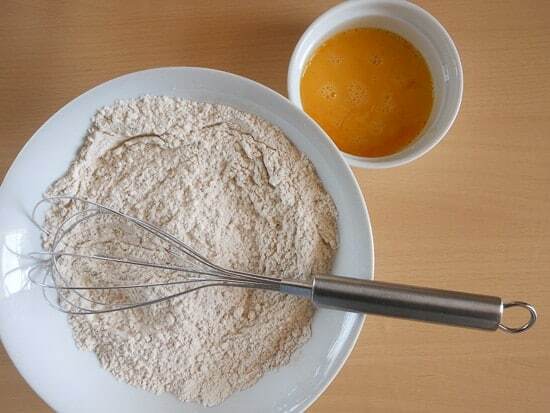 With a wooden spoon add the flour mixture, alternately with milk (in 3 parts, ending with the milk) to the creamed mixture. 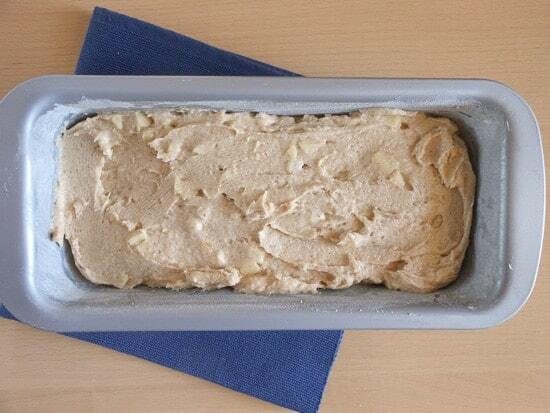 Turn into a greased 10x5 inch (25x12 centimeter) loaf pan and bake in pre-heated oven for approximately 55 minutes. Enjoy! I made this yesterday and I did add some chopped walnuts, a little ginger, and nutmeg as well. It was wonderful! Thank you so much for sharing. Hi Dawn, thanks so much, so glad you enjoyed it. And what a great idea with the additions. Have a great week. This looks amazing. I was wondering if this recipe would work well as muffins? I’d like to have it in an easy to grab to go form. Hi Cheyenne, I think it would work, give it a try and let me know. Have a wonderful Sunday. I just realized I never gave my feedback on this recipe after making it a bunch! It worked great as muffins, cooking time had to be adjusted of course. To make sure the tops rise, I baked them for 6 minutes at 400 degrees F, then turned the heat down to 350 and let them cook for another 20 minutes. Worked perfectly and they were absolutely delicious. I also sprinkled some brown sugar and cinnamon sugar on top before baking them so they would have that slight crunch on top that muffins often do. It is a big hit in my house and everyone loves them for breakfast. And they go great with coffee which is always a bonus in my book 🙂 Thanks for sharing this great recipe. I took this one to Thanksgiving as an alternative to apple pie-Yum! Hi Lindy, glad you liked it. Thank you. Hi Michelle, thanks very much. Have a great weekend!